We are pleased to welcome Maggie Dutton, a new Technical Director within the Environmental Management, Permitting and Compliance department. 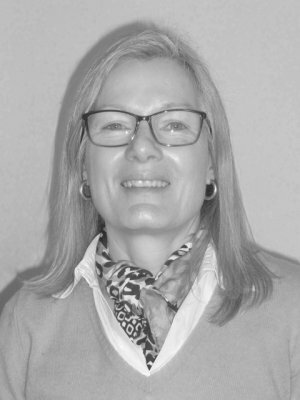 Maggie comes with over 17 years’ experience in national roles with the Environment Agency, having worked with government, businesses and trade bodies to improve environmental performance of activities regulated under the Environmental Permitting Regulations (EPR). Before that she managed a local authority Sustainable Energy Team for 2 years and also had 11 years’ experience as a project manager at British Coal’s Coal Research Establishment specialising in combustion and pollution control technology. Maggie brings wide knowledge of environmental permitting and compliance. With the EA she introduced new legislative requirements, modern permit conditions and risk-based regulatory approaches for waste operations, industrial installations and flood risk activities. She also developed permitting procedures, technical guidance notes and the EA’s H1 risk assessment methodology and provided training on these. Maggie was also seconded to the government’s Penfold Review of non-planning consents in 2010, to identify actions to reduce burdens on developers and she followed this up with improved guidance and procedures to streamline the planning/permitting interface. Maggie managed the EA’s Site-based Waste Regulation team and also the Industrial Regulation teams responsible for Waste Incineration, Cement & Lime, implementation of the IPPC Directive and management of EPR appeals. In these roles she has built up considerable experience of working with stakeholders to manage contentious sites, resolve legal challenges and develop regulatory solutions for complex or novel activities. Maggie joins the Environmental Management, Permitting and Compliance team in Bristol where she will strengthen our existing capabilities in waste permitting and help to deliver our current demanding workload.